Chris Kydes leads a simple life — he wakes up at 4 or 5 a.m., watches the morning news and makes his way over to a small roadside workshop. Inside his tightly-spaced store, the unmistakable scent of leather all but oozes from dozens of shoes, whose different shades of black and brown compliment one another on wood shelves. Being a shoemaker was not always what Kydes had in mind; in fact, it took years — and two different careers — for him to finally end up in the trade. 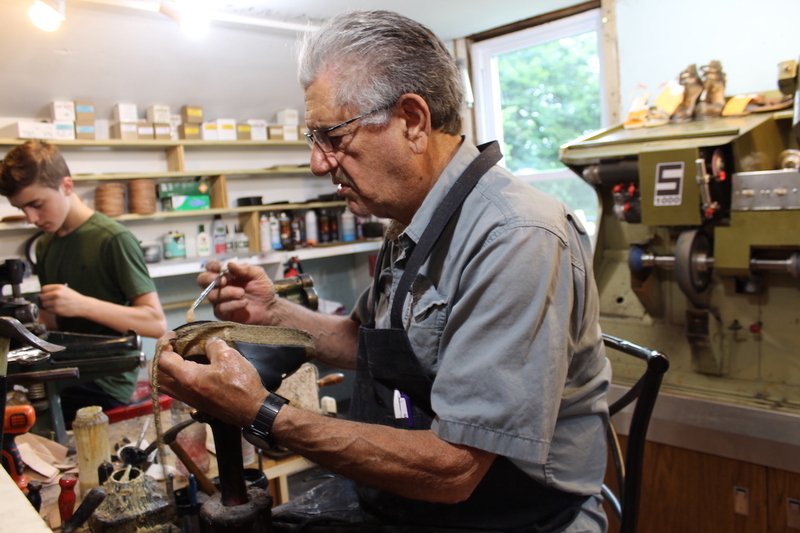 But now, after 46 years in business, the 78-year-old son of Greek immigrants still occupies his usual place behind the counter of his shop in Wilton, Connecticut, working diligently to fix the next pair of shoes that customers bring through the door. He said that, on an average day, nearly 30 people stop by his shop — sometimes to drop off their shoes, but other times just for a chat. 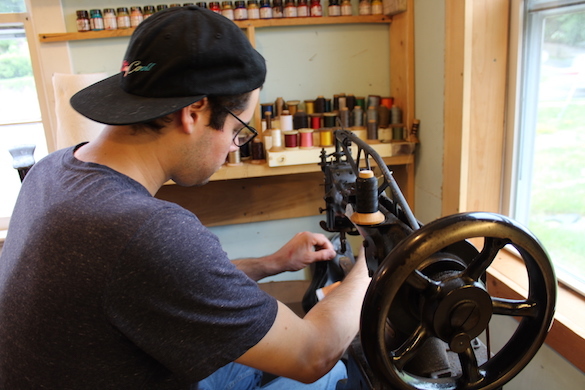 Chris Kydes works on a pair of sandals at his shop in Wilton, Connecticut. 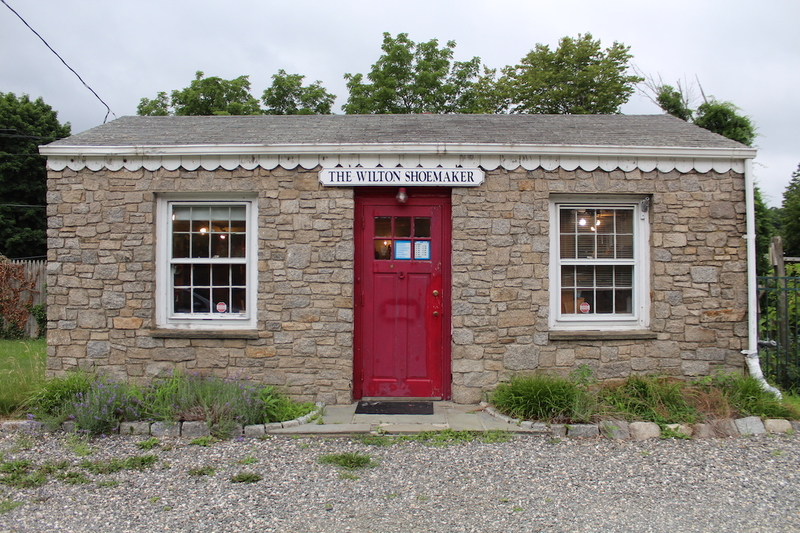 His original family name being Kyreakydes, the shoemaker’s story began in Great Barrington, Massachusetts, the town where his parents Moses and Parisa immigrated from Greece in the early 1900’s. Both parents originally hailed from different parts of Asia Minor, but their families were displaced from their homes by Turkish authorities and forced to flee to the northern Greek village of Spilia in 1923. 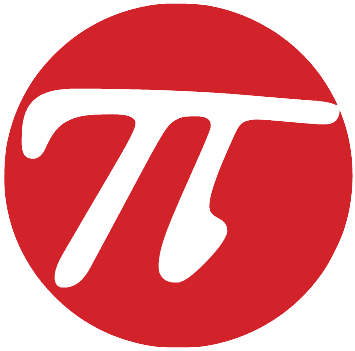 In fact, Kydes said his father had left even before the exchange, traveling to the United States and serving in the Army during World War I, where he survived the perilous Battles of the Meuse-Argonne in northern France. After finishing his service, the war veteran began to take regular trips to Greece, eventually meeting his future wife during a visit at their families’ home village. Fast forward a few years and the couple had three children — and since they still lived countries apart — the Greek expat would regularly send money to his family overseas. However, as Europe was inching closer to the outbreak of World War II, in 1937 Kydes’ family decided to escape to the U.S. The shoemaker said his older brother Andy later escaped through Albania, eventually making it to Italy from where he also traveled by boat to the U.S. to reunite with his family. In fact, the oldest son followed his father’s footsteps by also joining the military, serving in the Navy during WWII and surviving the deadly 1944 D-Day invasion of Normandy — the largest seaborne invasion in history. Meanwhile, Chris was still an infant, but by the age of 13 he and his family had relocated again — this time to Norwalk, Connecticut. Although he had not seen it coming at the time, Kydes explained that an unexpected turn of events would force him to grow up fast. The inside of Kydes’ small shoe repair store — the fourth that he’s owned during his 46 years in business. After attending community college in Norwalk, Kydes worked for years in the electronics industry and later as a firefighter — all the while raising five children with his first wife. 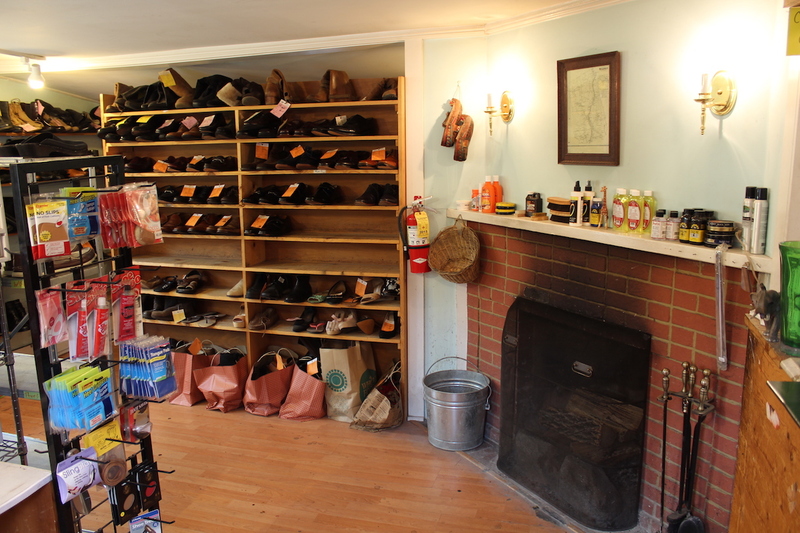 The 78-year-old said he eventually ended up getting into shoemaking when a salesman called him and told him about a shop in the nearby town of Wilton. “Once I walked in the door and smelled the leather, it brought back memories,” he said, referring to childhood days spent in his father’s shoe workshop in Massachusetts. He said that now he enjoys the “no bosses” aspect of his job, which entails challenging everyday tasks such as shoe skiving — the time-consuming process of thinning leather edges with a knife so that they come together as smoothly as possible. When asked if he ever thinks of retiring after 46 years, he simply replied “occasionally,” explaining that what keeps him sane are the customers, many of whom have given him hundreds of courtesy gifts such as cookies, chocolates and holiday wines over the years. Kydes also credited his Greek heritage, citing his mother as a key example of hard working values that inspired him from a young age. Now, he continues to pass on tradition in his shop, where his youngest son Bill, 27, has been working alongside him since teenage years. His 15-year-old grandson Noah also comes on weekends to learn tricks of the shoemaking trade. Great, he’s in Wilton and you did a nice story on him. But without an address in the article, hard to stop by with a pair of shoes that need repairs. Oops. Also, the original store still exists in Great Barrington and it is run by Mike Kyriakidis , this guy’s nephew.